Home » Business » Law » What types of legal document are available as templates? What types of legal document are available as templates? A raft of legal documents are required for the running and operation of any business covering everything from software licenses to contract agreements. Although some documents may come with a service that is supplied, many others must be created by businesses for operational purposes. Generating this type of information can be a time consuming and expensive process for any company, and in some cases they may not have the expertise to complete it correctly. There are a range of services who will provide templates for the majority of business documents that can be applied to most business situations. Managing a workforce is an area that requires a business to have a robust set of documentation. Making sure that employees have clear directions and understanding of their roles can be effectively created through templates for business policies and job descriptions. This may be supported with a staff handbook, which is something that can also be obtained in a template format and adapted to be fit for purpose. It is also possible to use templates for items like absences through illness, or for maternity and paternity leave. 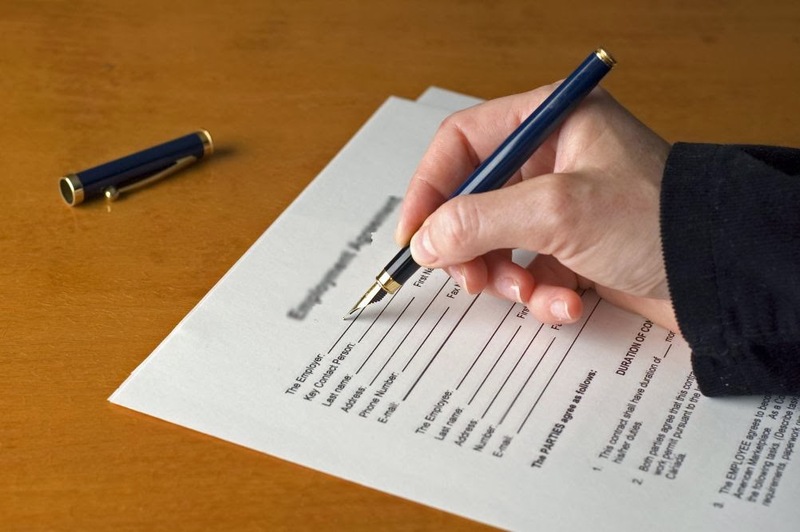 For difficult issues like termination of employment contracts, or disciplinary and dismissal procedures having the correct documentation in place is essential. Templates can ensure that these are created error free for whenever they may be needed. In addition template providers will include documents covering recruitment, equal opportunities, flexible working, expenses and more. Making sure there are clear terms of service for customers is a key part of good business communication and there are templates available to cover every aspect including; website terms and conditions, standard service agreements and sale agreements. There are also a host of template legal forms that businesses will need to demonstrate compliance on issues like trade, credit and contracts. Policy documents are an intrinsic part of business and the use of standard data and IT template policies is an excellent way of giving a business coverage over a wide area of operations. Other business templates documents can be used for items like purchase orders or copyright. At the corporate level there is a vast array of information that is necessary to ensure that everyone within a company has a clearly defined role. It is possible to use templates that will outline a company's formation and allocate tasks accordingly. For the appointment and management of company directors a template of the directors register and interests can also be used. Financial dealings can be outlined in templates for the distribution of shares and company stock. Communication for senior staff may also be generated through the use of standard letters and memorandums that are also available from template services.